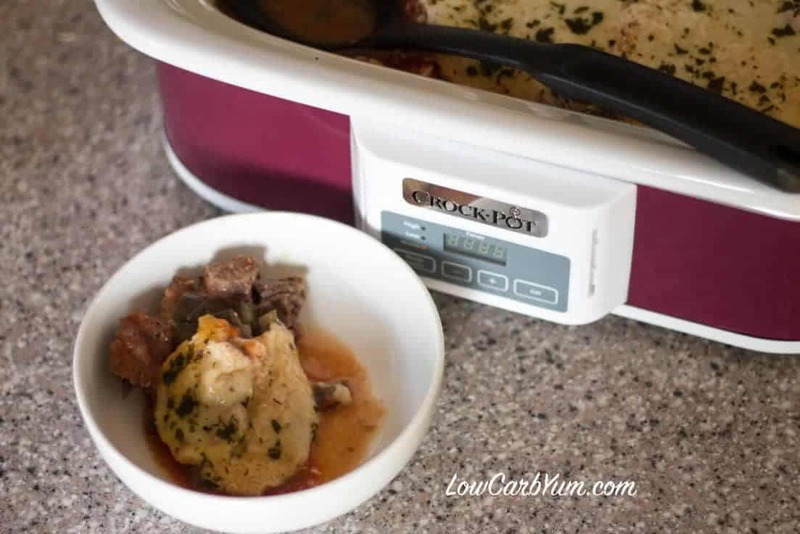 If you have a crockpot then you understand that it might be one of the most useful cooking tools that you can have in your kitchen. The way they cook your food just make your life infinitely easier. All you basically have to do is season your food, throw it in the crockpot, and turn it on. Usually, crockpots are good because they slow cook everything. All of the ingredients in the crockpot are going to be juicy and delicious when you take them out. 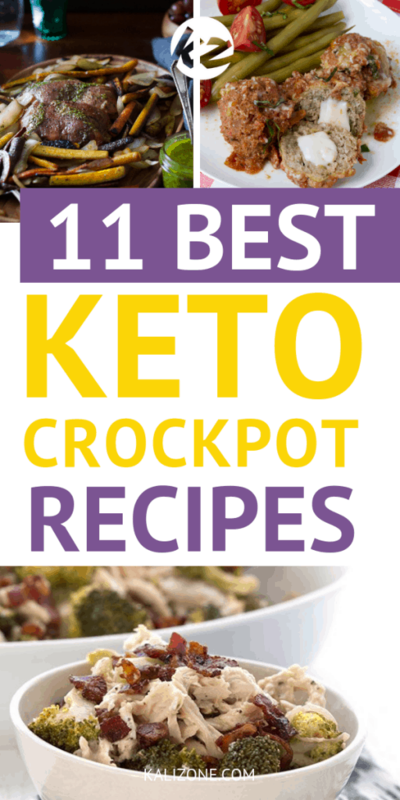 Because of how useful crockpots can be, they are perfect for anybody that is on the ketogenic diet. 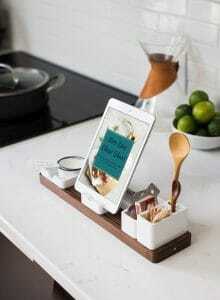 They make meal planning, an essential part of the diet, easier and gives you almost infinitely more options in the kitchen. The beauty of the ketogenic diet is that you have so many options with the recipes that you can make. When you add a crockpot to the mix, you add even more possibilities to what you can eat. With any diet, the more options you give yourself, the better. I’m not saying that you need all of these recipes, but when you have a lot of options, you can never be bored with what you’re eating. 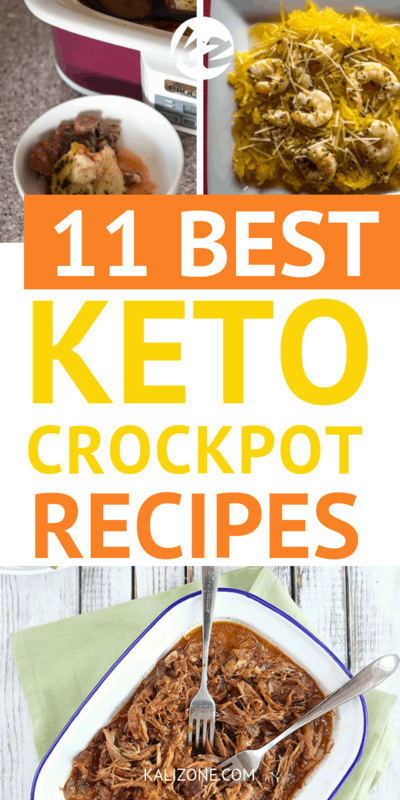 Here are 11 keto crockpot recipes that you’re guaranteed to love as you are on your keto journey. If you love pasta, then this is going to be a good recipe for you to try. Having to basically give up pasta can be a difficult aspect of the keto diet. However, when you make this recipe, you’re going to have a slight variation on pasta that is going to taste pretty delicious. 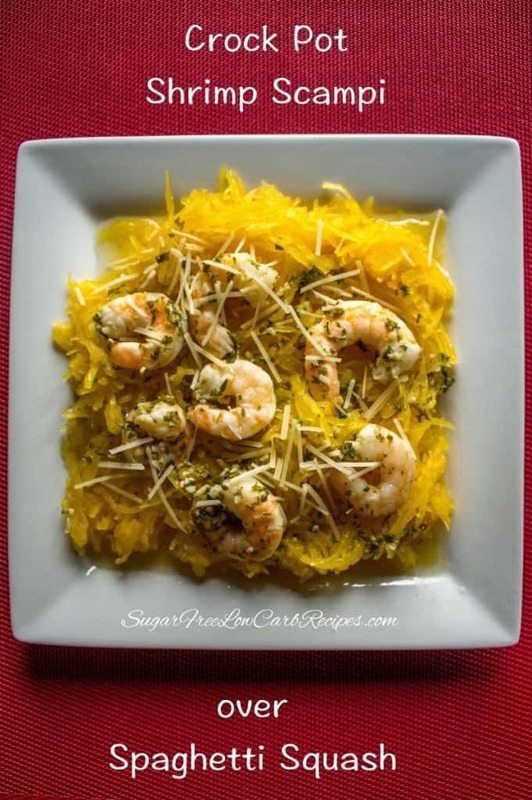 It may not be the exact same quality as the pasta you’re used to, but when you add the shrimp, you’re going to have the same amazing flavor that you’ve always been used to when it comes to shrimp scampi. Eggplant isn’t a personal favorite of mine but when you’re able to mix certain ingredients together, you can make anything taste amazing. That’s the deal with this recipe. The eggplant shouldn’t be hard to eat when it’s cooked right. Adding the ground beef is going to make the dish taste even better. 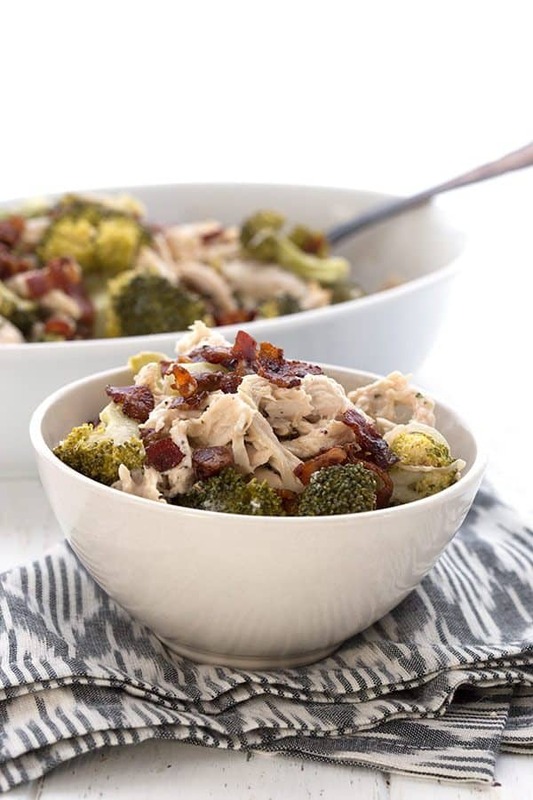 After your initial bites of this recipe, you’re probably going to want to eat the rest of it straight from the crockpot. Buffalo chicken is a classic type of flavor that nearly everyone loves to have from time to time. For the ranch lovers out there, you get to have a bit of ranch with this recipe. You are going to have that flavor that you know so well and thought might’ve been lost forever when you started the ketogenic diet. The reason buffalo chicken is such a favorite amongst people is that it can give you a little bit of spice, but never too much. The spice isn’t overwhelming so most people are able to handle it with ease. Any kind of pot roast is going to be a go-to dish for me. You always get a blend of flavors that just work so well together. My mouth is watering thinking about this recipe right now. 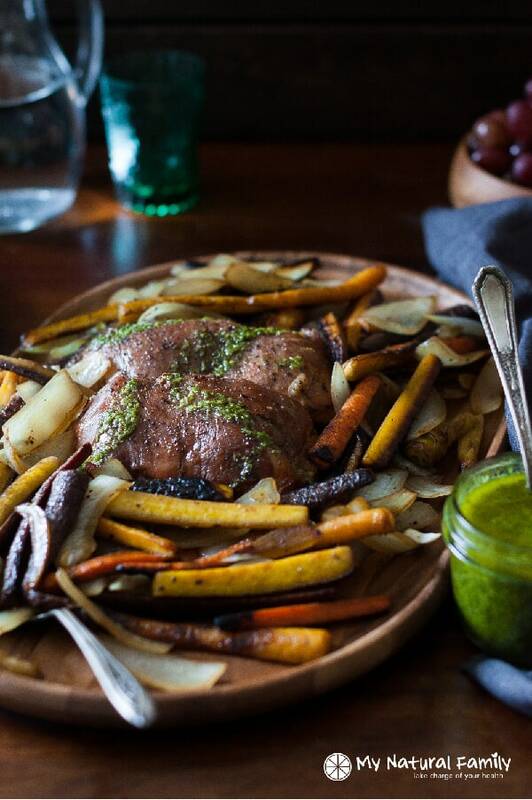 You’re going to have pork as the protein for this pot roast dish. The vegetables that are going to be mixed in with this make it so you don’t need to make any side dishes. 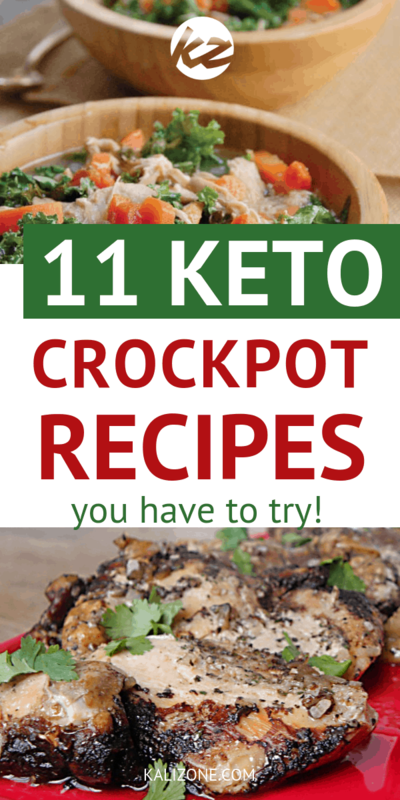 Everything you’re going to want out of a recipe is going to be in the crockpot. You’ll have big flavors that will make your taste buds extremely happy. For a lot of you, ranch and chicken go together perfectly. Some of you might not even be able to eat chicken without a side of ranch. Luckily for you, this recipe is going to provide you with that chicken and ranch combo that isn’t going to compromise your keto diet. You’re going to be making your own ranch dressing that will be going on the chicken. 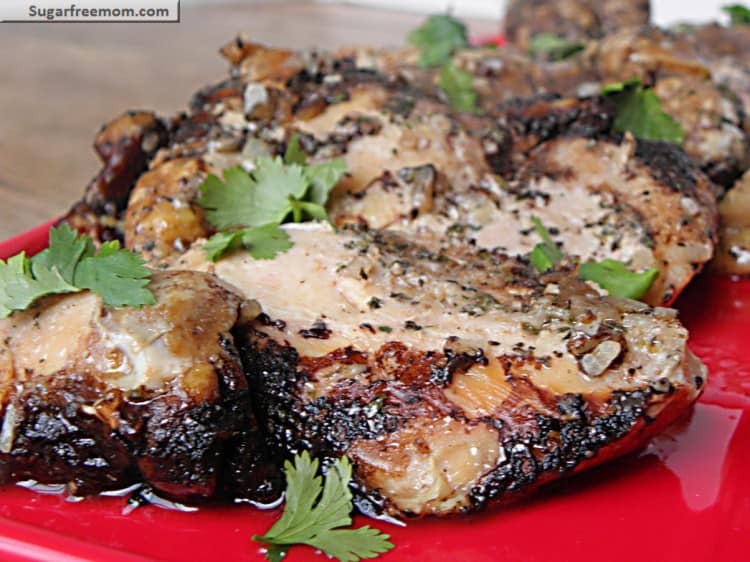 The reason to make this in a crockpot is so that the chicken stays nice and juicy. You aren’t going to be missing out on any flavors. This recipe is just all-around good. When you make it right, there is no way that you’re going to not like it. Not to mention that it looks just as good as it tastes. The fact that the chicken will be bone-in will add a bit more flavor in my opinion. With the chicken cooking in the crockpot, you’re going to have meat that falls off the bone when you’re ready to eat it. If you’re a taco fan, you need to make this recipe as soon as possible. You’re going to have all the great flavors of a classic taco without the carbs of a shell. Let’s be honest, the best part of a taco isn’t the shell anyway. After having this recipe, you’re going to realize that you never needed the shell, to begin with. You can have your Taco Tuesday without compromising anything with your keto diet. 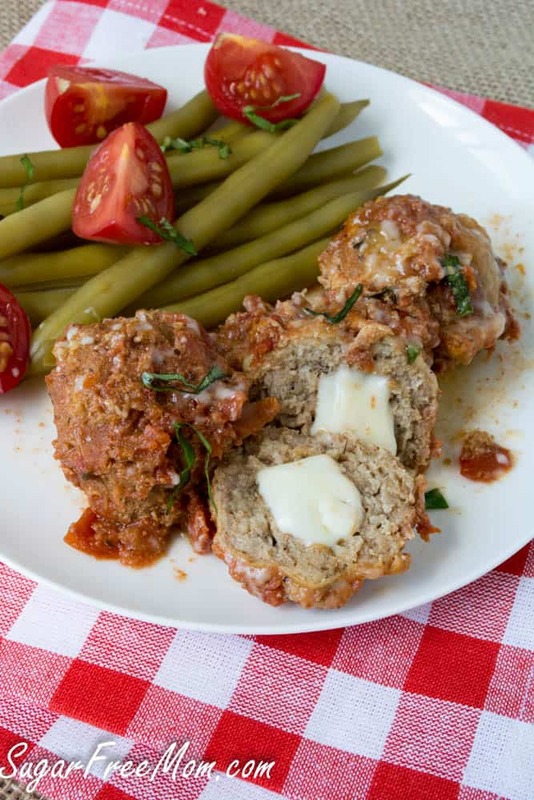 These turkey meatballs already have a healthier connotation associated with them because people see turkey as healthier. The fact that they are cheese stuffed meatballs are going to make this recipe go from mediocre to absolutely amazing. Usually, things that are stuffed with cheese are already delicious. So, because of that, you won’t have any worries about this recipe disappointing you in any way. Another soup recipe that is going to satisfy the taste buds. It’s not quite on the level of chicken noodle soup, but you’re still going to love how this tastes. The great thing about this recipe is that it’s simple to make and can be made relatively quickly if you’re in a time crunch. Anybody that loves BBQ is going to enjoy this meal. 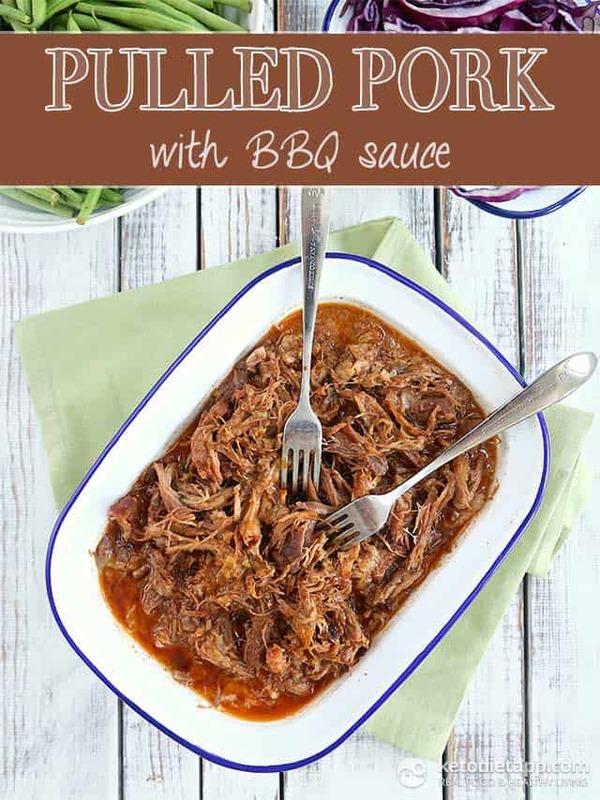 You aren’t going to have many keto BBQ options so when you’re in the mood for this type of meal, you need to take advantage of the recipe. Everything is going to be keto friendly even though it may not seem like it. You aren’t going to have to worry about getting sidetracked with your diet since you’ve worked hard to get to the point you’re at now. For all the soup lovers, this chowder recipe is going to put an instant smile on your face. The fact that it’s a chicken and bacon recipe is just an added bonus. Even the chowder snobs out there are going to love this recipe. Yes, you could probably make this recipe in a regular pot, but it just won’t be as good as it could be if you make it in a crockpot. 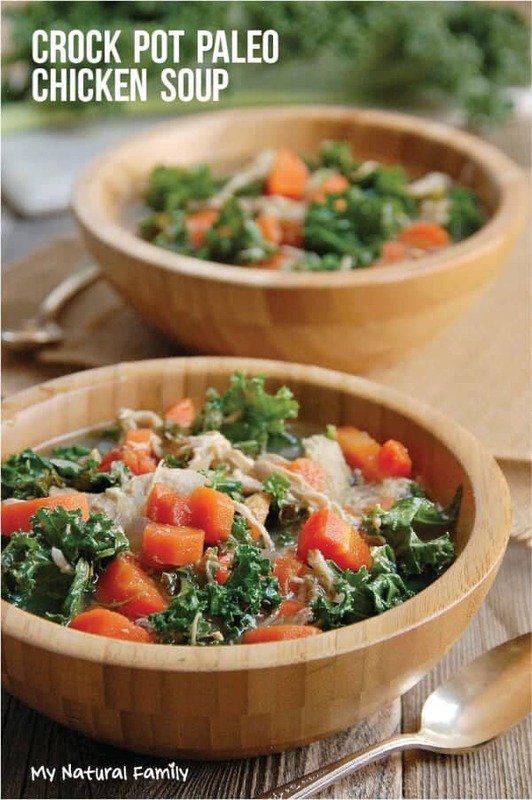 The crockpot is going to make this recipe perfect for the soup lovers. Trust me on this one. If you have a crockpot you really need to take advantage of it. If you don’t have a crockpot, then I suggest that you get one immediately. 16 Family Friendly Keto Meals to Make Tonight! 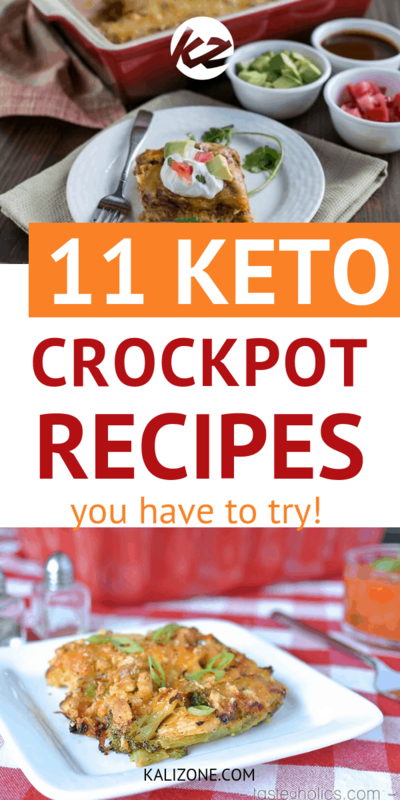 Did you enjoy 11 Keto Crockpot Recipes to Satisfy Your Keto Taste Buds?